Have you made your mark on the practice of technology in higher education? We want to know about it! 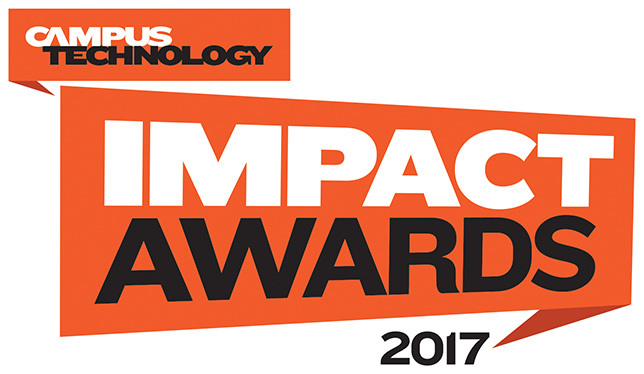 The new Campus Technology Impact Awards will honor exemplary colleges and universities that are making an extraordinary impact with technology on campus, doing important work in the service of teaching, learning, administration and operations. For each winning project, we will recognize the institution, the project lead and the technologies involved in making the initiative a success. This is our 13th year of recognizing higher education institutions for their work with technology. Formerly known as the Campus Technology Innovators Awards, the new Impact Awards serve to broaden the scope of that recognition — to include both cutting-edge and well established projects. Our goal is to honor projects large and small that have had the greatest impact on the institution and on the higher education community. Entries will be reviewed by our Impact Awards Judging Committee of higher ed tech leaders, with final winners selected by our expert team of editors. Projects will be judged on their scale, uniqueness and impact, with a particular focus on the ways they are making a difference both to the institution and to higher education in general. Entry deadline: April 10. For more information, go to campustechnology.com/impact.